When I decided to explore the question of Witz, or wit, with you this year, I undertook a small enquiry. It will come as no surprise at all that I began by questioning a poet. This is a poet who introduces the dimension of an especially playful wit that runs through his work, as much in his prose as in more poetic forms, and which he brings into play even when he happens to be talking about mathematics, for he is also a mathematician. I am referring to Raymond Queneau. While we were exchanging our first remarks on the matter he told me a joke. It’s a joke about exams, about the university entrance exams, if you like. We have a candidate and we have an examiner. The examiner, strategically, asked the candidate to talk about the battle of Trafalgar. “Whoah! Whoah!” says the candidate. “Back up, Neddy!” The value of this joke is, to my mind, that it enables us to decompose, I believe, what is at stake in a witticism. 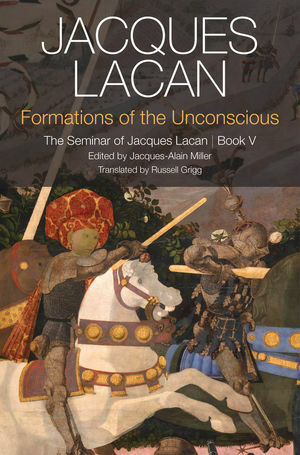 Jacques Lacan (1901-1981) was one of the twentieth–century's most influential thinkers. His many works include Écrits, The Four Fundamental Concepts of Psychoanalysis and the many other volumes of The Seminar.